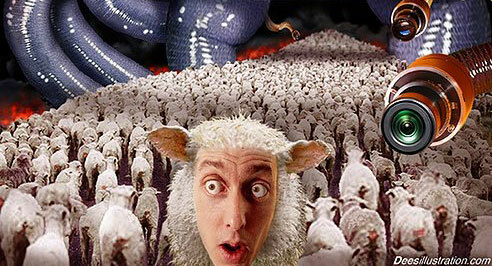 Have you herd about the Sheeple Quiz? It’s a fun quiz to find out how smart (or gullible) your friends really are. 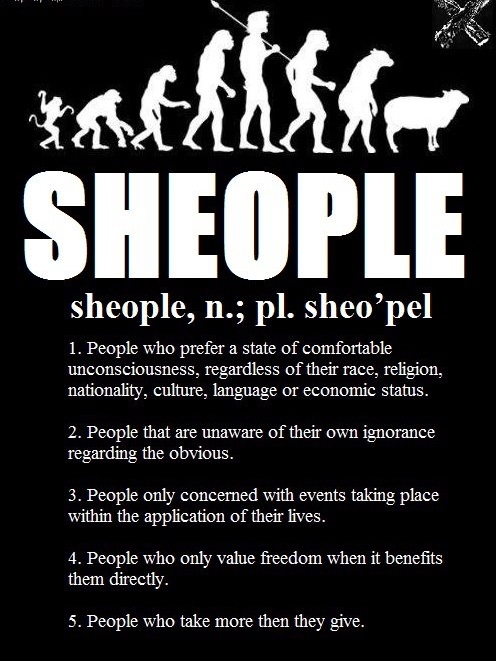 So let ’em take the Sheeple Quiz! And then you’ll know whether they’re independent thinkers or just zombie-minded sheeple like the rest of the flock. 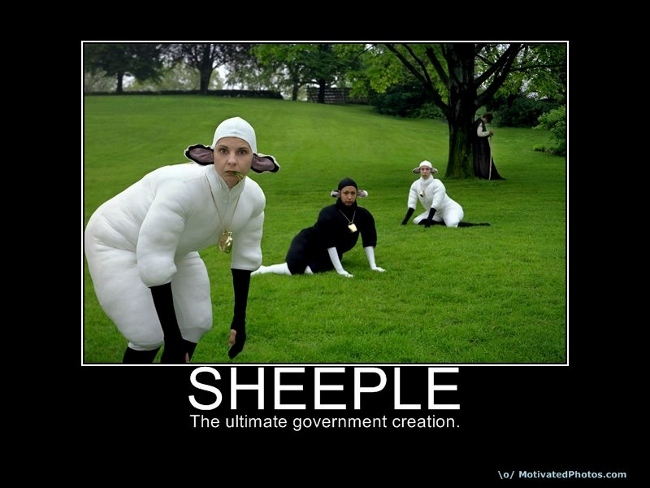 To score your Sheeple Quiz, simply count the number of times you answered “A” to the questions above. You are a total news-watching, gullible fairytale swallowing Sheeple! Be sure to keep taking those medications and watching more network news. Don’t bother thinking for yourself because you seem to be incapable of accomplishing that. You are an unusually intelligent free-minded thinker who questions the world around you and doesn’t buy into the usual propaganda. You still got suckered on a few items, so there’s more yet to learn. But you’re on the right track!